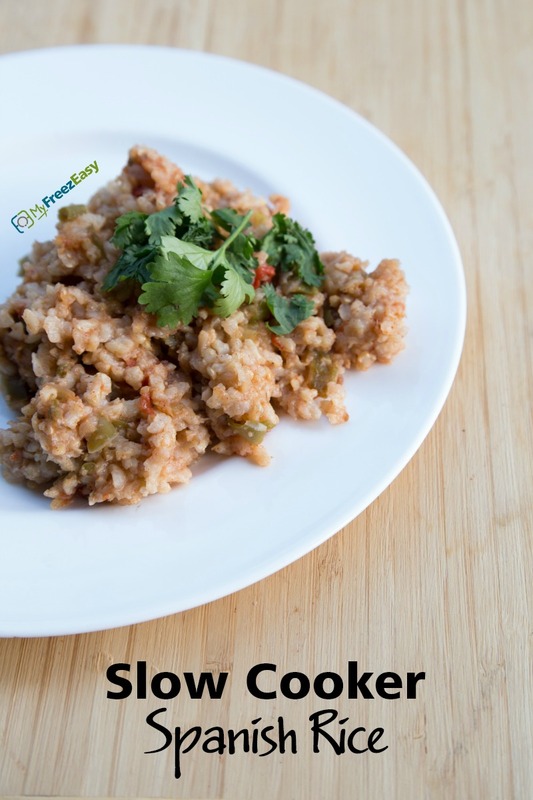 Spanish rice has never been easier with this slow cooker version! Enjoy! 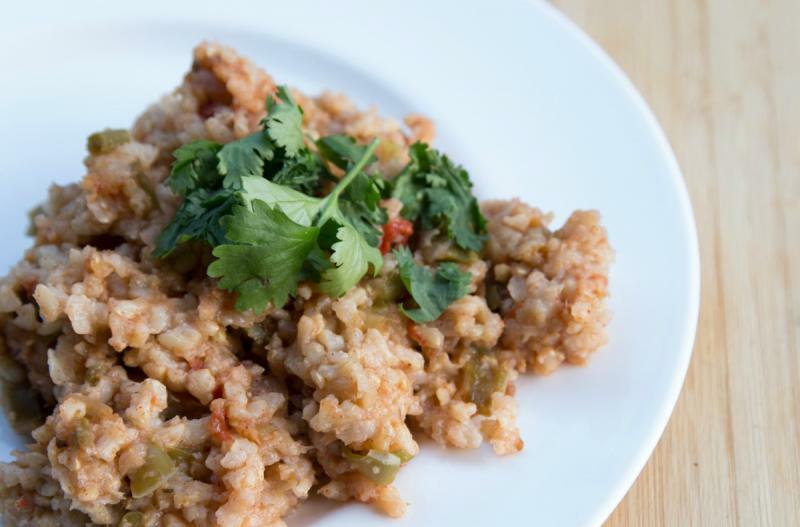 Place the brown rice and water into the base of the slow cooker. Stir in the chopped onion, chopped green peppers, minced garlic, chili powder, ground cumin, oregano and salt and pepper in with the rice. Pour the diced tomatoes with juices on top. Set on low and cook for 2 to 3 hours. Fluff with a fork before serving. Prepare veggies and slice the avocado. Serve Slow Cooker Spanish Rice with veggies and sliced avocado. Note: Do NOT add water or diced tomatoes to freezer bag. Put baggie in the freezer and freeze up to 6 months in fridge freezer or 12 months in a deep freezer. Thaw in the fridge overnight, or a warm bowl of water for about 20 minutes, before transferring to the slow cooker, adding 4 cups of water and diced tomatoes on top, then cooking on low for 2 to 3 hours. Thaw, add contents to slow cooker, then pour in 4 cups water, top with diced tomatoes, and slow cook on low for 2 to 3 hours. Serve with veggies and sliced avocado.